The Children’s Home Society of New Jersey was founded in 1894 and our mission was to find loving families for children, to protect children from harm, and to help parents find better ways to be parents so they can keep their children. These three facets of our mission remain core to us today. Today, we believe we are saving children’s lives and building healthy families. In the late 1800’s a kindhearted man witnessed a scene that would change the lives of countless children over the next 100 years. He watched quietly as a group of people dressed in rags walked out of a local poorhouse. He noticed a slight little mother and five year old daughter. Why, he thought, did this child need to grow up with no hope for the future? Because his heart was touched, a national movement called The Children’s Home Society was born. That man was the Reverend Martin Van Arsdale. He started the first CHSofNJ in Chicago and found junior reverends (children’s advocates) to take his progressive ideas to 26 states. 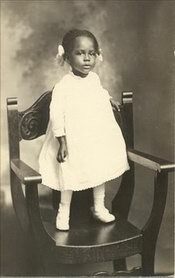 In 1894, the Reverend Martin T. Lamb was sent to New Jersey, and thus was born The Children’s Home Society of New Jersey, who in its inception served all of New Jersey, Pennsylvania, and Delaware. From its beginning, CHSofNJ has adhered to the philosophy that each child should be cared for in a family home and loved the same as a child born to a family. Our founders did not agree with the prevailing practice of warehousing children along with adults in almshouses. Nor did they believe in loading New Jersey’s local children onto orphan trains and sending them to the mid-west for placement with farm families. Reverend Lamb and his staff worked tirelessly to organize concerned people across New Jersey. Slowly, they convinced local poorhouses that children would be better served if they were placed in family homes. As children were released from New Jersey poorhouses or found to be abused or neglected, they were placed first with Reverend Lamb and his wife, Ermina, and then as soon as they could, with private homes in New Jersey, later called foster homes. Reverend Lamb and his wife were themselves the first foster parents for CHSofNJ. The understanding was that any family who took CHSofNJ’s children must treat them as they did their own. Some went to NJ farm families, but ALL of the children on a farm shared the work. CHSofNJ continued to offer its traditional services, while other services expanded, and new ones were added. Despite the changes over the years, the mission has remained the same. Today, it is our vision that all children have secure, caring families, good health, and function well cognitively, emotionally and behaviorally. To this end, our programs include; behavioral health/ mental health, permanency planning, community/ neighborhood based services, school based services, and early childhood and parent education services. We provide services for children and parents at risk, including prevention, support, childcare, referral, and treatment. Our programs address the developmental continuum from pre-natal to adult. In conjunction with the federal Adoption and Safe Families Act, we have contracts that serve many children in the state foster care and adoption system, providing a range of services before adoption, during the state placement process, and after adoption (post-adoption services). To view a timeline of CHSofNJ programs, click here.